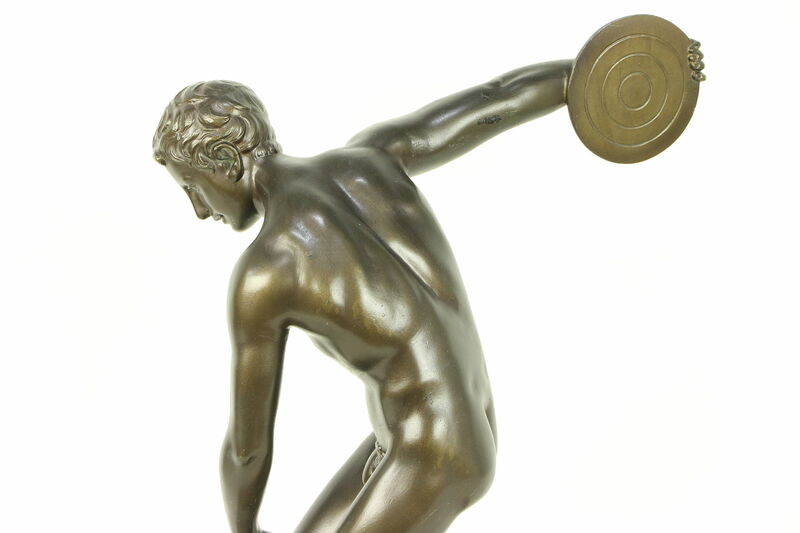 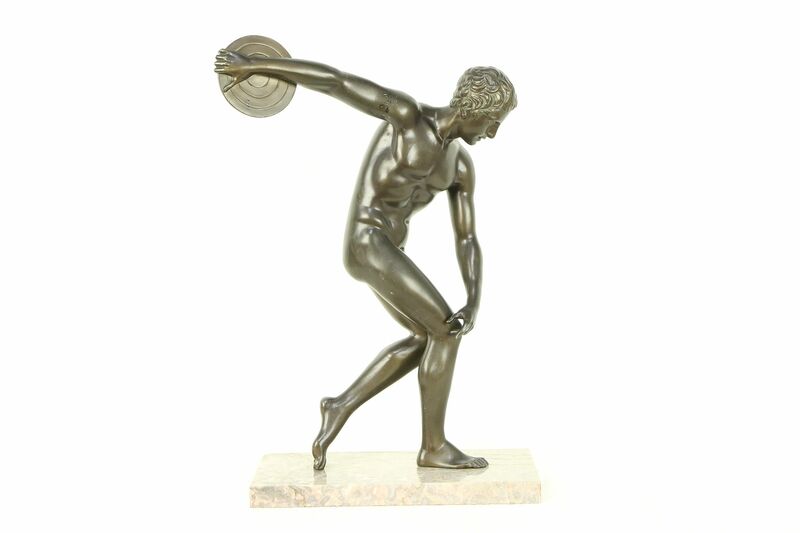 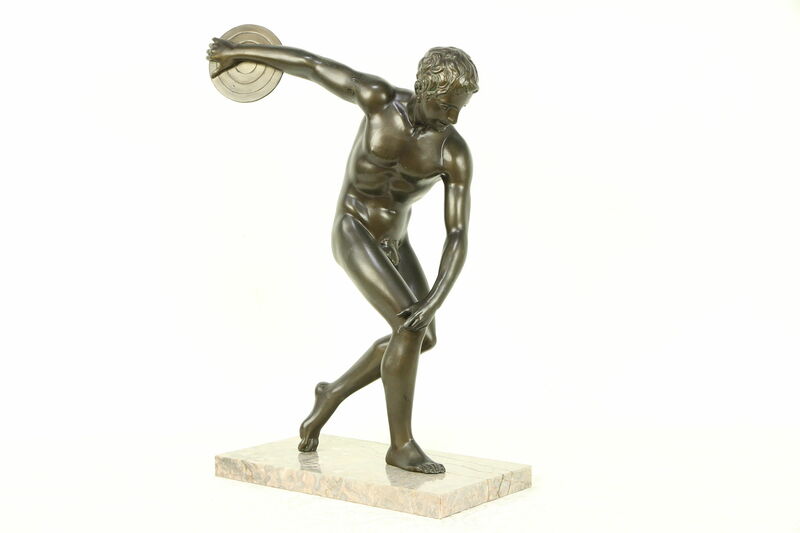 This statue of the "Discus Thrower" is an antique after the famous original Classical period Greek statue from about 450 BC by Myron, now in the British Museum in London. 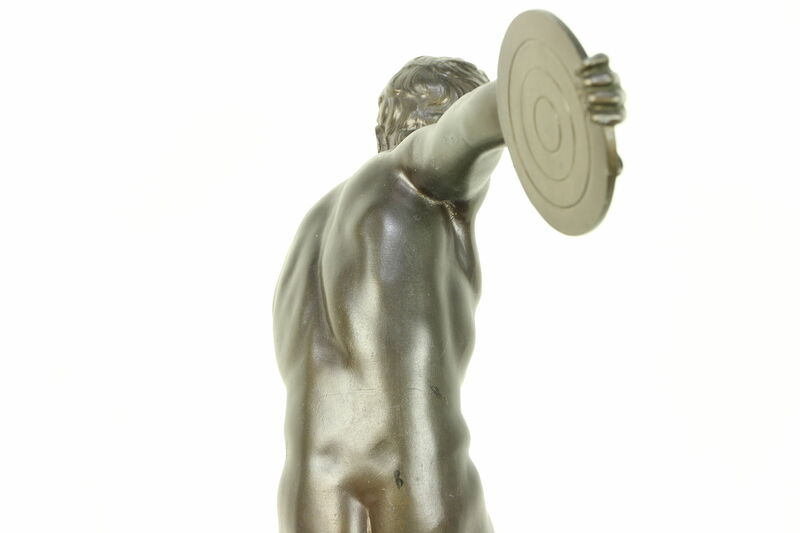 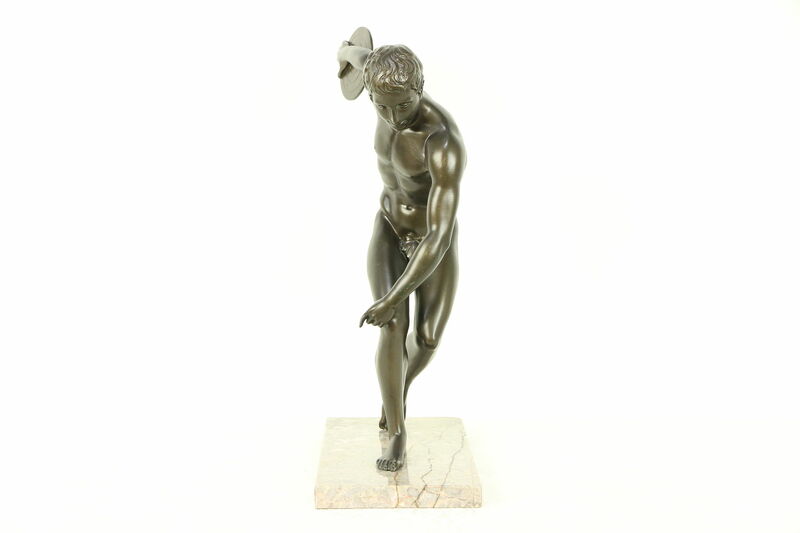 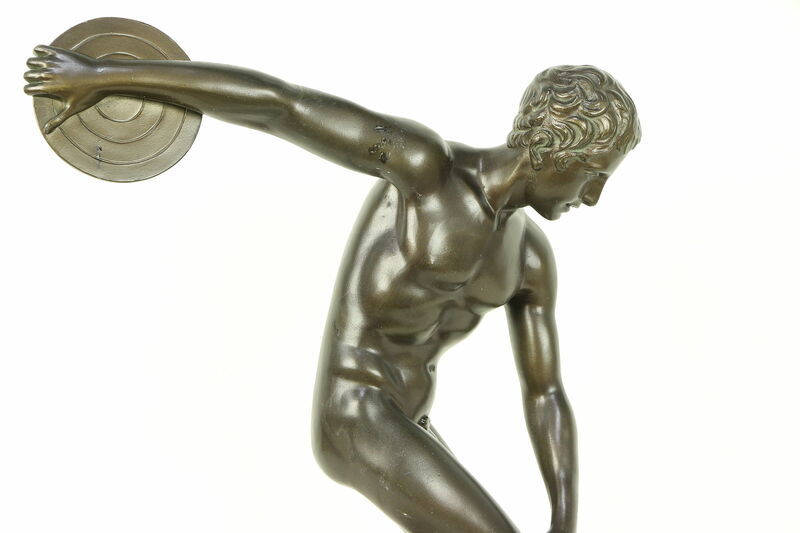 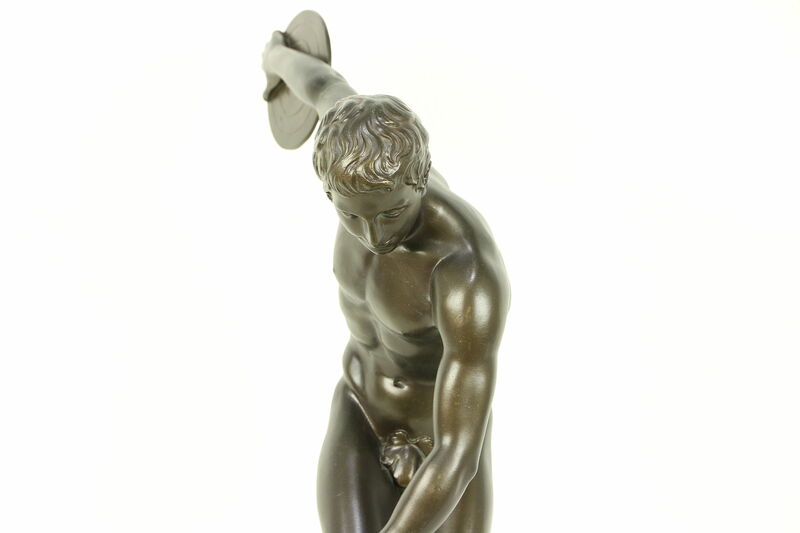 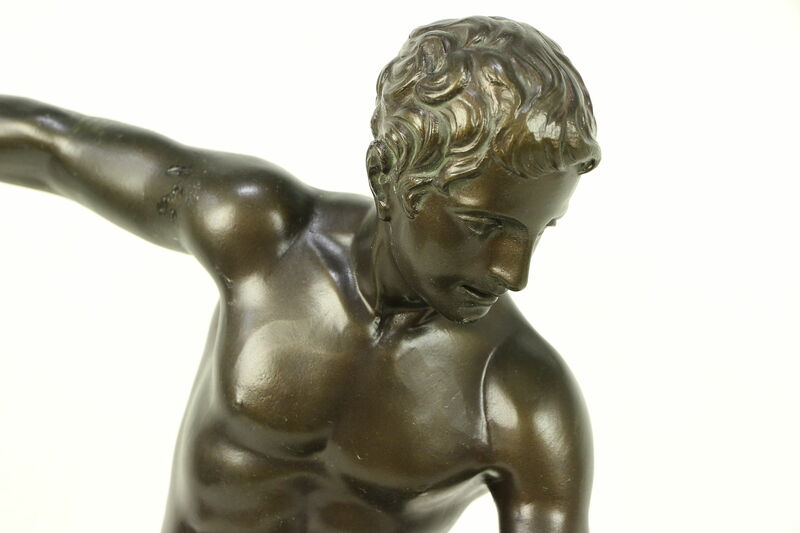 This sculpture is from the early 1900's, cast in spelter metal, an alloy similar to pewter. 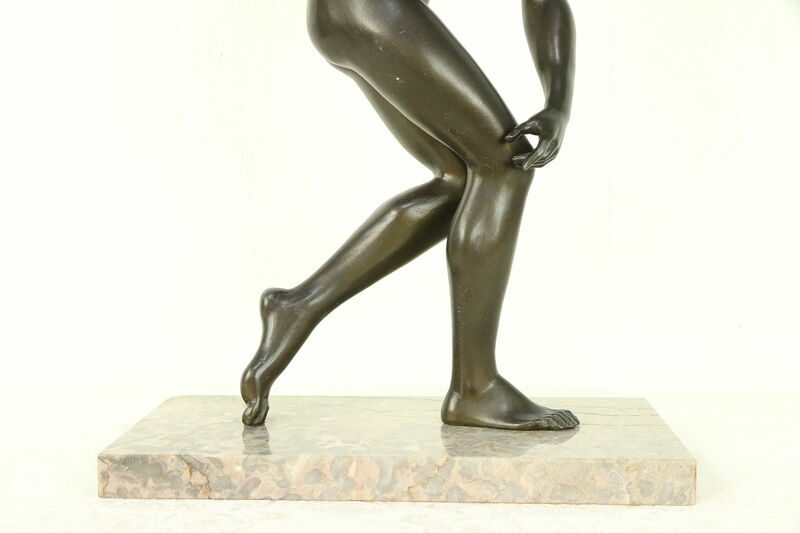 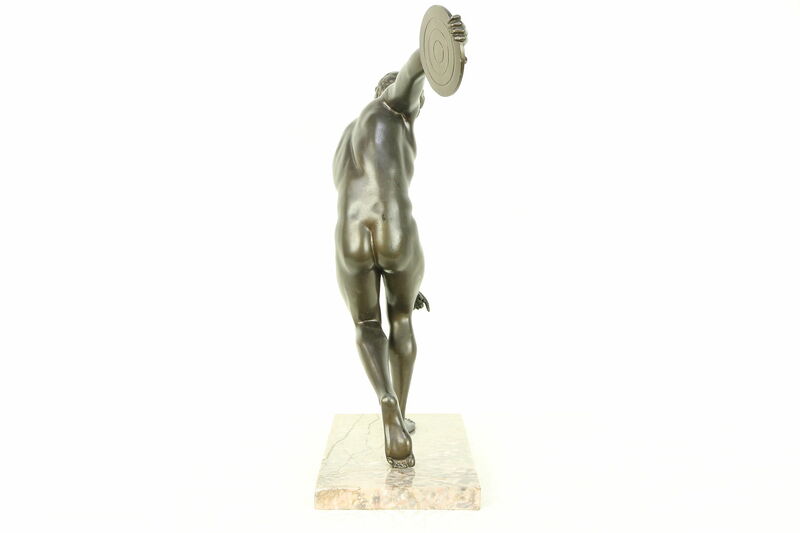 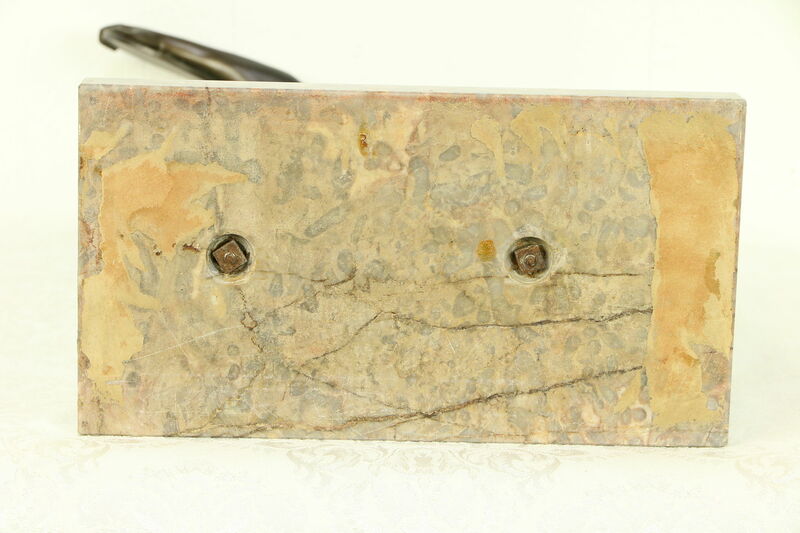 The original dark bronze finish has minor touchups, see photos, and is mounted on a marble base. 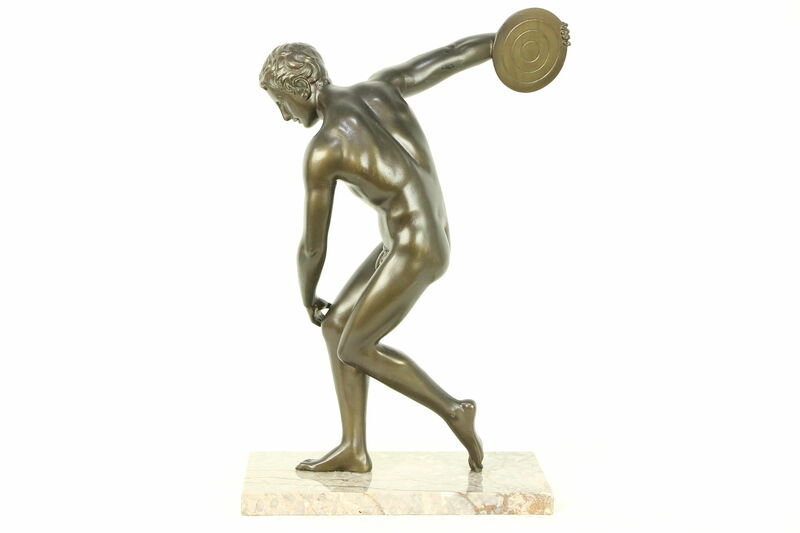 The athlete is captured just as he winds up to release the discus. 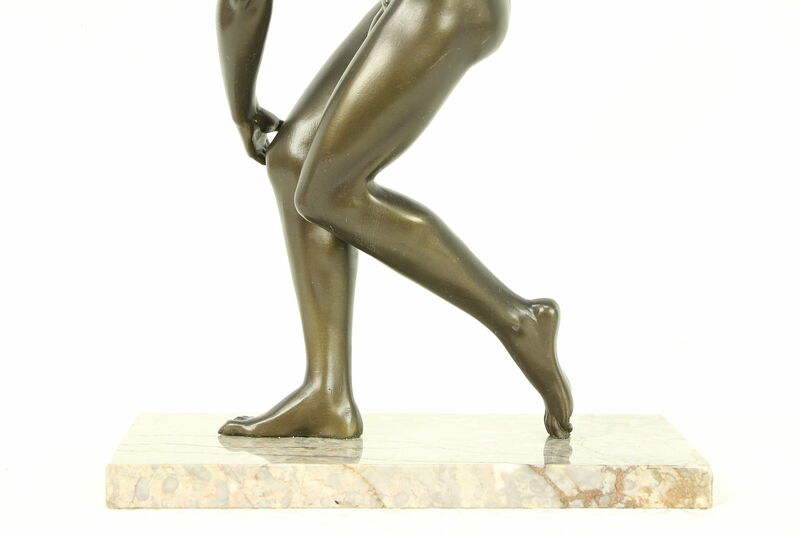 Size is 11" x 6" and 17" tall.